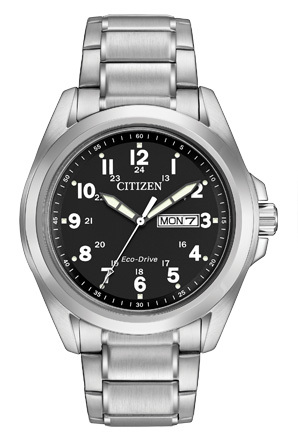 This classically styled timepiece from CITIZEN®'s Chandler collection provides an everyday look for the everyday man. With clean lines and oversized Arabic numbers, this timepiece features day and date display. Water resistant up to 100 metres.